Like the laces of a tightly wound baseball, a powerful bond has developed between GCU baseball and the firefighting community in the Valley. More than a dozen former Lopes baseball players have transitioned into local firefighting. The lessons they learned as student-athletes have transferred exceptionally well to their service-oriented and challenging careers, and they are drawn to the plethora of similarities between baseball and firefighting. Reprinted from the August issue of GCU Magazine. 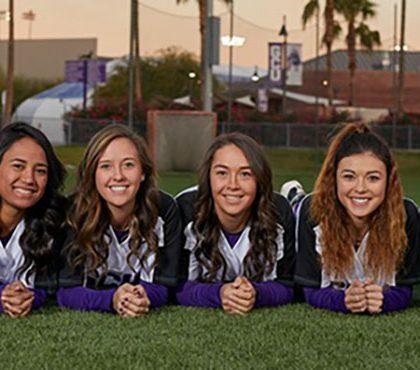 Like the laces of a tightly-wound baseball, a powerful bond has developed between GCU baseball and the firefighting community in the Valley. 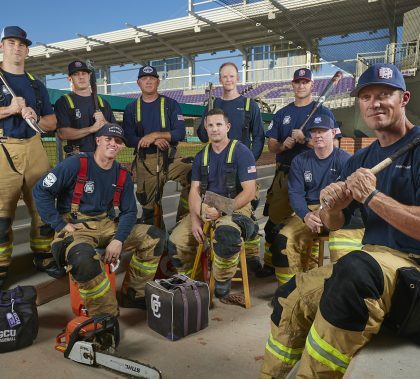 More than a dozen former Lopes baseball players have transitioned into local firefighting. The lessons they learned as student-athletes have transferred exceptionally well to their service-oriented and challenging careers. They are drawn to the plethora of similarities between baseball and firefighting. Reprinted from the August issue of GCU Magazine. They’re thousands of miles away from home, but the Hawaiian students at Grand Canyon University have found a second family here among their fellow Hawaiian students, and among the GCU student body. They have found support in the wake of Hurricane Lane and fellowship during the recent Little League World Series win.